Following the free-to-view launch of BT Sports, Sky Sports is next up to offer viewers a free sample of programming as the competition between the rivals hots up. 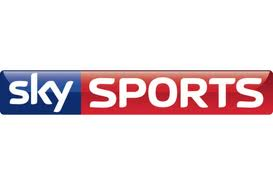 Sky is simulcasting Sky Sports 1 on the 17th August - the opening day of the Premiership - for free on Pick TV on Freeview and YouView channel 11, or on Sky 2 for viewers with Sky, Virgin Media or TalkTalk TV. But Freesat viewers look set to miss out due to rights issues that would arise if Sky Sports unscrambled its signal on satellite. As a result, Pick TV is to split its schedule on the day (see below). Highlights include live coverage of the all-Yorkshire clash in the Championship at 12:15pm and live coverage of Manchester United's visit to Swansea City at 5:30pm. At 3:00, Jeff Stelling and the Soccer Saturday team with bring viewers up-to-date with the latest scores. This will be the first time the show has been shown on Freeview since August 2010, when Sky Sports News was removed from Freeview. With Canadian dog behaviourist Brad Pattison. Double-bill. Jeff Stelling and the team with the latest results from around the grounds as they come in on the first day of the Premiership. Four back-to-back episodes of the customs docu-soap.